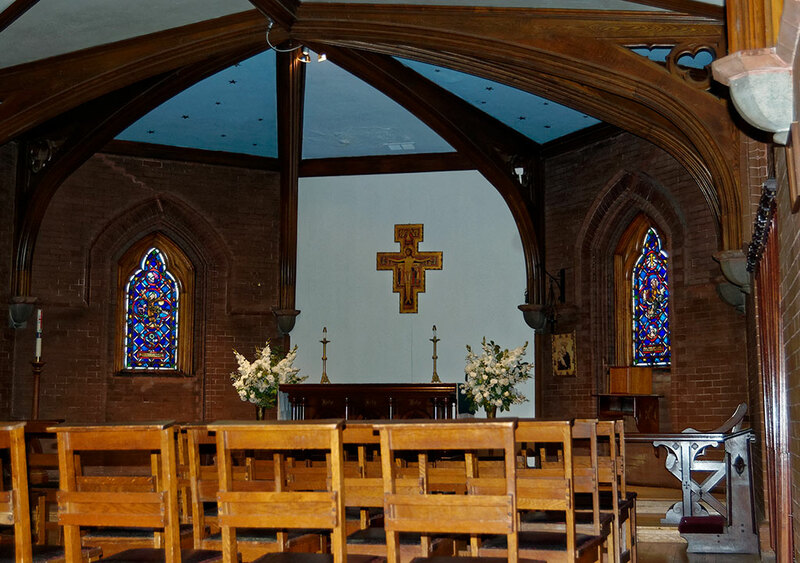 Whether you are from the Western New York area, or yours is a destination wedding, St. Peter’s is the right facility for your blessed day. The church is located just a few blocks from the natural wonder Niagara Falls. 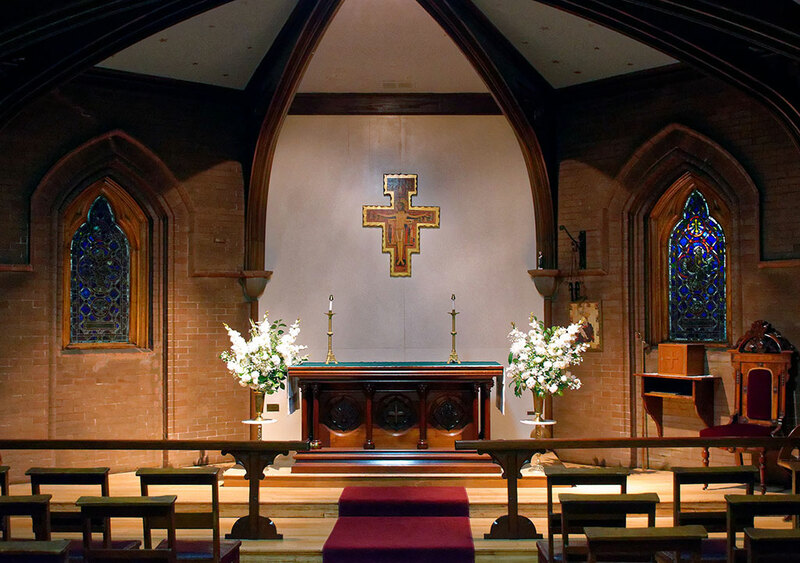 St. Peter’s Church is large and beautifully appointed with seating for 300 people. 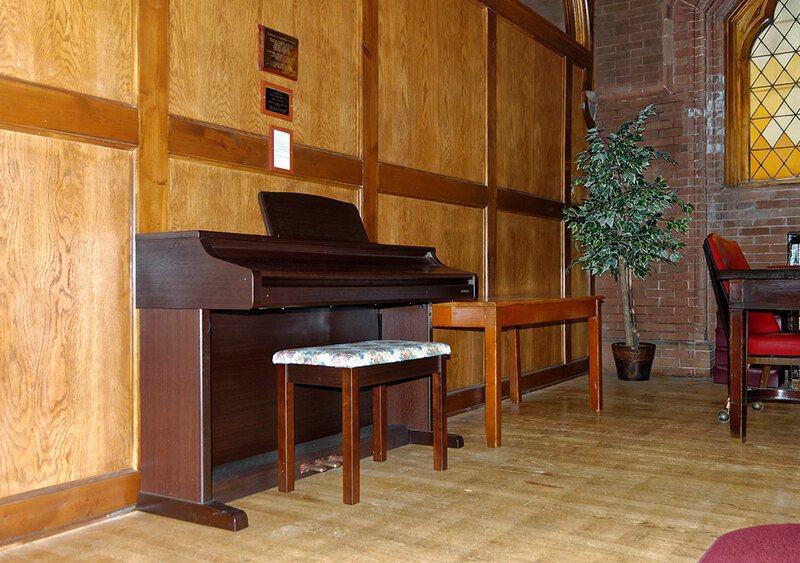 The chapel (pictured below) – equipped with altar, pulpit, and piano – is lovely and has seating for up to 50 people. A choice of many hotels and motels, restaurants and the Niagara Falls Convention Center are located within minutes from the church. There is much on the street parking and a large parking lot across from the church is available for use with permission from the owner. All weddings or Renewals are conducted according to the Rites and Rituals of the Episcopal Church and are officiated by an Episcopal Priest or Deacon. St. Peter’s is a wheelchair accessible facility. The Blessing Box Ministry is a ministry-in-progress this year at St. Peter’s Church. What are blessing boxes? Blessing boxes are wooden boxes, individually designed and installed on the grounds of churches, homes, and other institutions. Blessing boxes contain a variety of non-perishable food items, toiletries, and other items available to anyone in need. When someone is in need, they simply open the box and take what they need for free! The Blessing Box will be stocked, by St. Peter’s parishioners with the help of our partners from Zion Lutheran Church, Niagara Falls.